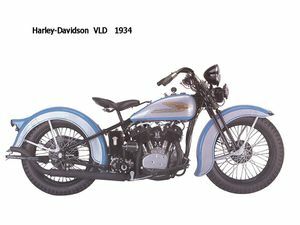 Harley Davidson's sales were on a downward slide in the early 1930s. To rejuvenate their product line they introduced a top of the line 74 cu. inch model in a variety of no-extra-cost colors. With an art deco bird motif also available on the tank panels, the selection of standard-finish models was transformed from olive drab to bright colors. 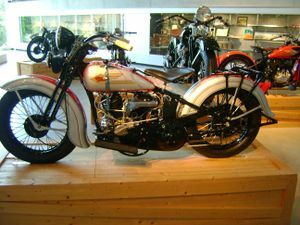 There were 29 variations of the "V" series built between 1930-1936. This page was last edited on 11 August 2010, at 00:47.